When we founded Primal Performance Spine & Sport, our goal was to bring our passion for treating the whole patient to our practice. We believe that approach and that passion are what separate us from your typical chiropractor. We are lifetime chiropractic patients who understand the need for a healthy musculoskeletal system. Our athletic careers have helped us see that true musculoskeletal health requires more than a back crack or a neck twist. Soft tissue injuries are at the forefront of athletic injuries and must be addressed in order to have optimal function. The focus we place on objective functional testing to assess limitations in the body is what allows us to produce optimal patient outcomes. 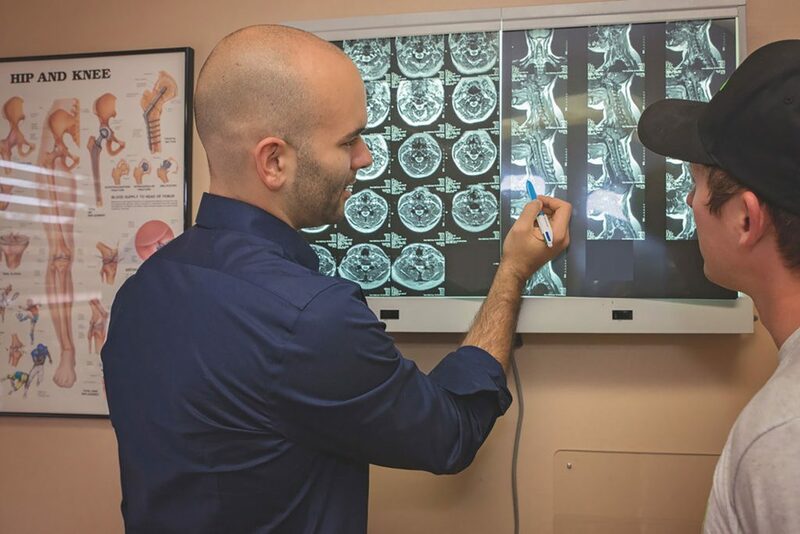 We do not diagnose off of X-rays, or decide how many months of treatments are necessary based on a curve in your spine. We assess how your body is functioning and diagnose based on these measures.